DCWEEK came to an official start this past weekend when we hosted an opening party Friday night at the Longview Gallery & Blagden Alley in Washington, DC. The party featured tons of entertainment – everything from bands and individual musicians, to performance artists, film projections, dancers and an interactive gratitude graffiti wall presented by Shiny Heart Ventures, asking party-goers what they were thankful for about DC. It was a hit – even though in the end, it turned into a flat-out graffiti wall. The opening celebration went on until the wee hours with a great crowd. 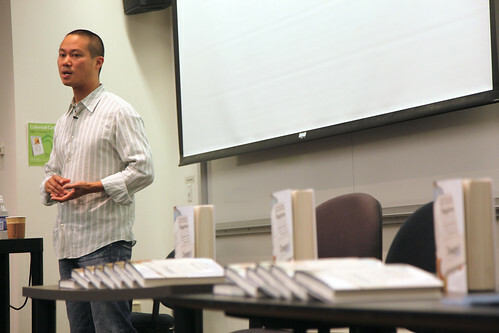 On Saturday morning was a highlight of the weekend – Zappos CEO Tony Hsieh gave a talk about his new book, Delivering Happiness, followed by a book signing and lunch. 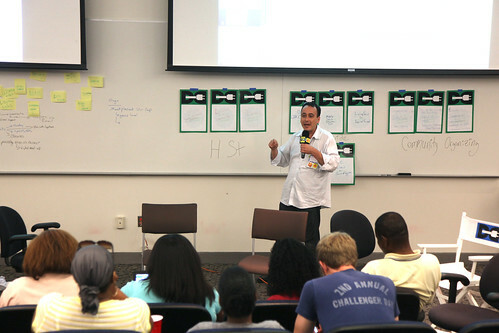 On a beautiful Saturday afternoon the crowd at our GWU venue was completely engaged asking question after question. 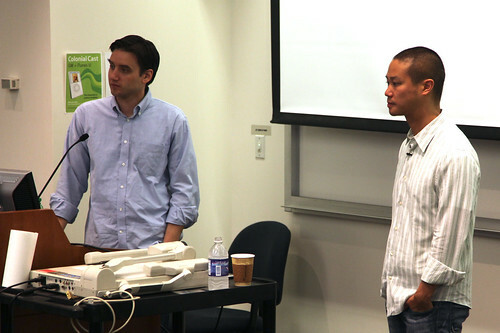 Our own Frank Gruber did a great job moderating the discussion with Tony and the audience – we’ll post video from the session here soon. 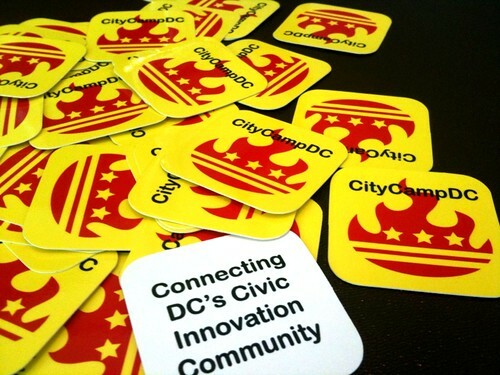 The session was followed up by City Camp DC moderated by Peter Corbett, from our co-producing company, iStrategy Labs. The crowd spent the afternoon discussing issues most important to them in DC, and then in true unconference style, formed into groups using the time to brainstorm 3 big ideas, assigning team members to follow up on each. Some groups used Sunday afternoon to do some fieldwork around the city -others are following up with their teams with specific action items. Most exciting to me is getting to meet SO many people everyday of the festival. It’s just amazing and inspiring. Want to follow along with the festival? 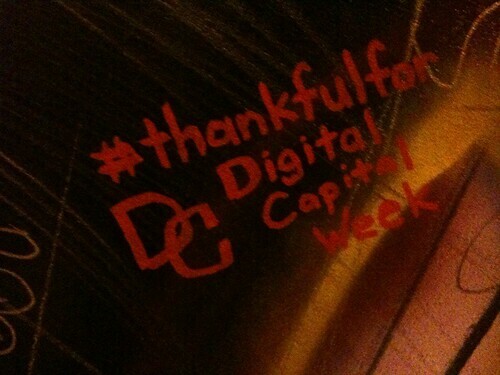 We have an incredible volunteer blogger corp making updates all festival-long to our main site: http://digitalcapitalweek.org and via Twitter @dcweek. We’re also tweeting updates from @shinyheart so there are lots of ways to see what’s happening throughout the festival.